One of the services offered by our physio team is gait analysis and re-training. If you are plagued by niggles or injuries that you can’t pinpoint the cause of, a thorough analysis of your gait by a professional could be beneficial in highlighting potential risk factors. Scott Newton is a highly experience Musculoskeletal Physiotherapist with a special interest in running related injury. 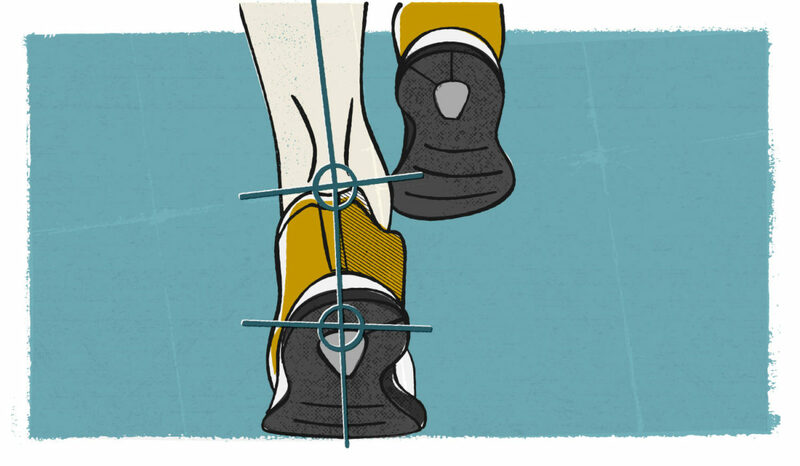 He explains here the reasons behind and the benefits of gait analysis and retraining. Gait analysis can be tremendously helpful when combined with gait retraining in the context of running injuries. For instance Irene Davis, a researcher in the US, demonstrated that gait retraining was effective in treating patellofemoral pain in female runners. Let’s reframe the question, and ask instead: is there a better style which helps us run more quickly and efficiently? If you’re a runner whose times have plateaued despite rigorous training, a good diet etc., then gait analysis/retraining may offer you the ‘marginal gain’ that you were looking for. Excessive ‘vertical oscillation’, essentially bobbing up and down on the spot, a little like the chewable soft mint character called Mr Soft. Poor trunk and arm control. Think of runners who look like they’re rotating their trunk side to side as if they’re hitting a punch bag. How do we use gait analysis to improve this and get you running more like Mo and less like Phoebe? Let’s say that you’ve been prone to an IT band problem. Your gait analysis shows that you have a very narrow step width and a slow cadence, recognised contributors to this problem. In order to increase your step width, I’d ask you to imagine that you are keeping a little ‘light between your knees’ as you run. If you run in front of a mirror on a treadmill, you can easily monitor your success with this. If the coaching ‘cue’ is right for you, you will see and feel a very rapid improvement in your symptoms as you have instantly changed the mechanical loading. Tweaking your running style might feel a little odd at first, like trying to write with your opposite hand. After five or six weeks practice you’ll really have this nailed. Less shuffle and a better 10K time! If you would like help with optimising your running style, book in for an assessment with a member of our Sports Clinic Team by calling 020 7036 2326. Next Next post: You’ve Got This: Tips for pre-marathon, race day and beyond.